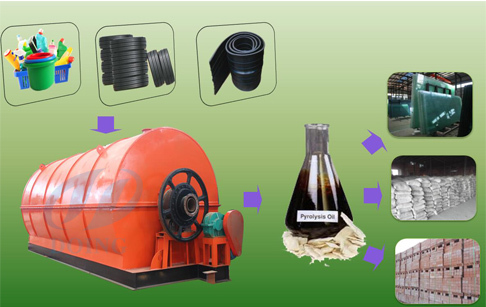 Doing as a produced pyrolysis plant manufacturers ,we can produced waste tyre /plastic/rubber pyrolysis plant with new desing and high quality ,the waste tyre/plastic/rubber pyrolysis plant can pyrolysis waste tyre/plastic/rubber to fuel oil ,carbon black and steel wire. Pyro = heat. Lysis = break down.Plastic Pyrolysis is chemical reaction. This reaction involves molecular breakdown of larger molecules into smaller molecules in presence of heat. Pyrolysis is also known as thermal cracking, cracking, thermolysis, depolymerization, etc. Pyrolysis can be used to convert chemicals such as ethylene dichloride to polyvinyl chloride (PVC). Biomass or waste can be converted into other useful products such as syngas using pyrolysis. 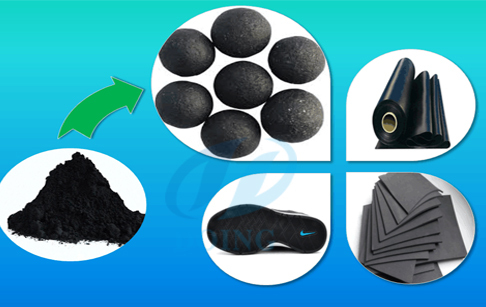 The raw material can be waste tyre/waste plastic/waste rubber. Always feed by the auto feeder. Include a reactor and catalyst room. Heat the reactor by coal/wood/oil/natural gas. This part will produce high temperature oil gas, the oil gas then flow into the next system. Oil gas come out from the reactor and catalyst chamber then cooling down in this part. Condensing system include condenser pipe, oil water separator, horizontal condenser and waste gas condenser. This will make the oil yield to the maximum. This part mainly deal with the gas that cannot be condensed. The whole process is very steady and high efficiency. After finished oil produce, the temperature of reactor can be cooled down, When the temperature falls down to 40 degree then carbon black can be discharged automatically by the way of anticlockwise rotate the reactor. The carbon black will drop into slag pool and then use screw conveyor to clean the slag pool. After discharging the carbon black. 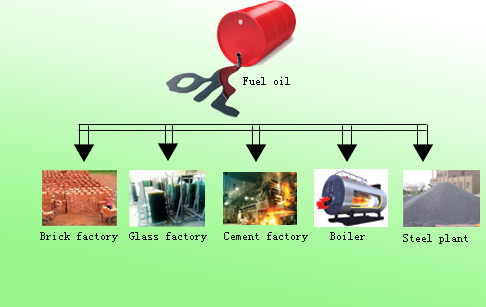 The main application of oil products produced by our pyrolysis plant is the fuel oil that is wide used for industrial and commercial purposes. Such as power plant factory,glass factory,cement factory,ceramic fatory. The third product of pyrolysis plant is steel wire, the quantity of steel wire is about 10% to 15% according to tyre quality. It is very easy to sell steel wire scrape in local market. The second product of pyrolysis plant is carbon black. The quantity of carbon black is about 30% to 35% according to tyre quality. Carbon black can application to electric cable jacketing,black nylon bag,rubber additive. Prev:How can fuel be produced from plastics? 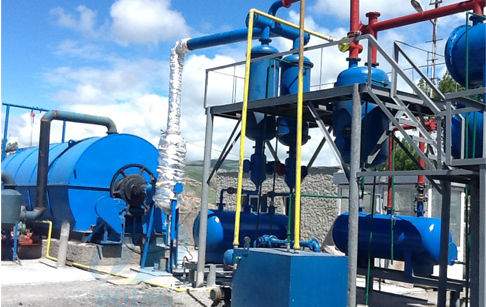 If you wanna to get more details about Pyrolysis plant manufacturers you can send E-mail to market@doinggroup.com. You can consult our professional engineer and specialized sales team with leave a message in below form.We will contact with you ASAP.You also can visit our factory in Henan,China.Get Detailed address.